Little Shop of Horrors opens next week on October 5! 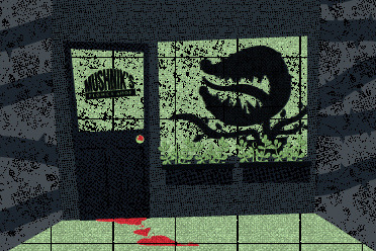 Our first production of the academic year, Little Shop of Horrors , opens next week on October 5! Make sure to get your tickets now and support our amazing School. 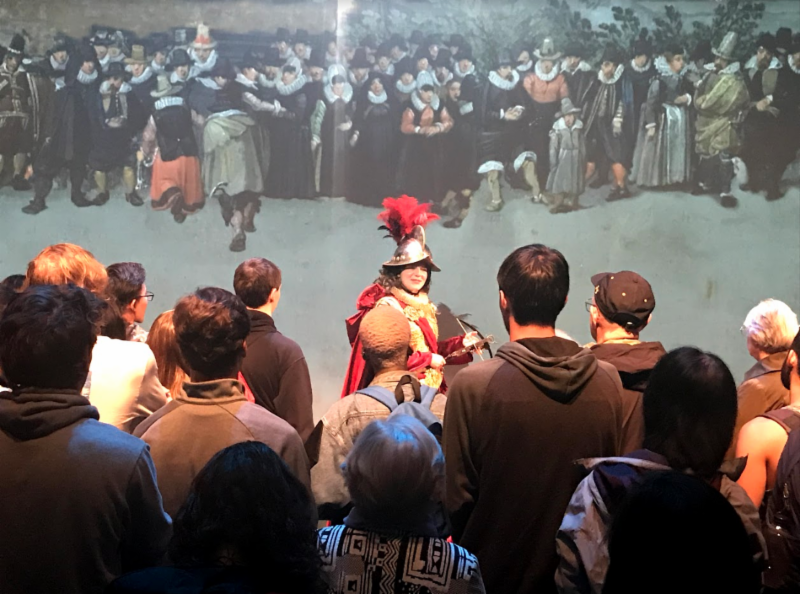 Congratulations to the many students, faculty, and staff who participated in The Triumph of Isabella Experience , the inaugural production of the International Program for Creative Collaboration & Research (IPCCR), directed by Professor Frank Hildy. 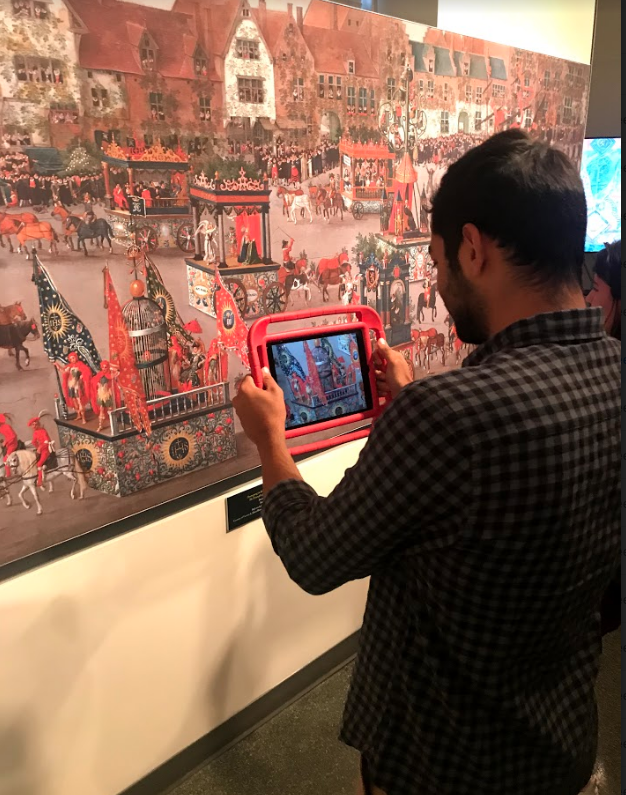 This project is a collaboration between TDPS, the School of Music, the Michelle Smith Performing Arts Library, and the Victoria & Albert Museum, London. This classic sci-fi musical comedy packs a gleefully witty Motown/pop-rock score from the creative team behind Aladdin, Beauty and the Beast and more. This multidisciplinary work explores the myriad subtleties of dwelling. What implicit meaning does the word suggest? Internal versus external, shadow against light, our perspective versus what we perceive. Spaces near and far, up and down, seen and unseen. The choreography uniquely intertwines dance with puppetry, projections, aerial arts and other mysterious elements. If Shakespeare’s Hamlet had existed in a dystopian, futuristic world, would things have turned out differently? This work of highly physical dance theater, set against fresh sci-fi-inspired design, takes on the timeless tragedy. The emotionally evocative, soul-rending choreography explores the characters’ duplicity and basic truths about the human experience, while inviting the audience to come to their own conclusions. 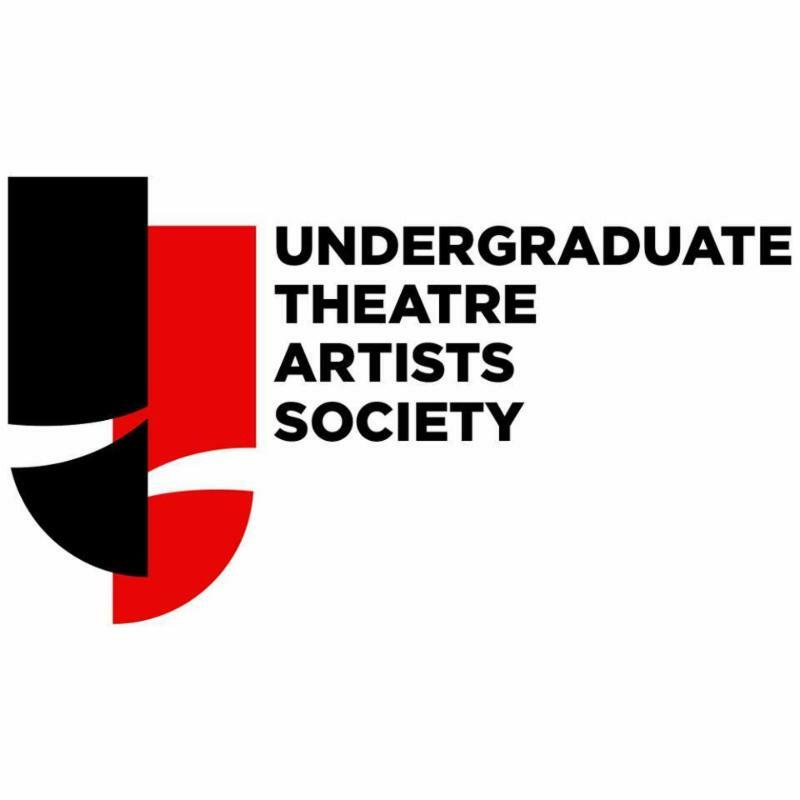 UTAS will be holding two more town halls this semester on October 15 and November 19 at 12PM in Mulitz-Gudelsky Rehearsal Room (3730). EVERY BODY is invited! Please come, bring your lunch, listen, and contribute to the conversation. Want to do a TDPS Instagram takeover? Are you a TDPS student, faculty member, or staff member? Show us what a week in your life at TDPS looks like! 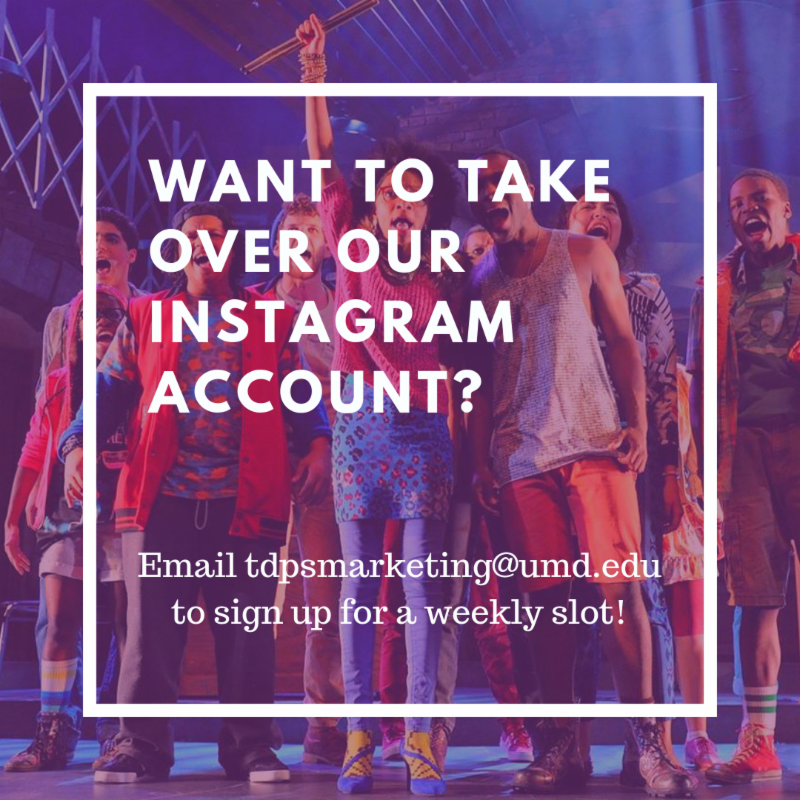 If interested, contact Kate at tdpsmarketing@umd.edu . 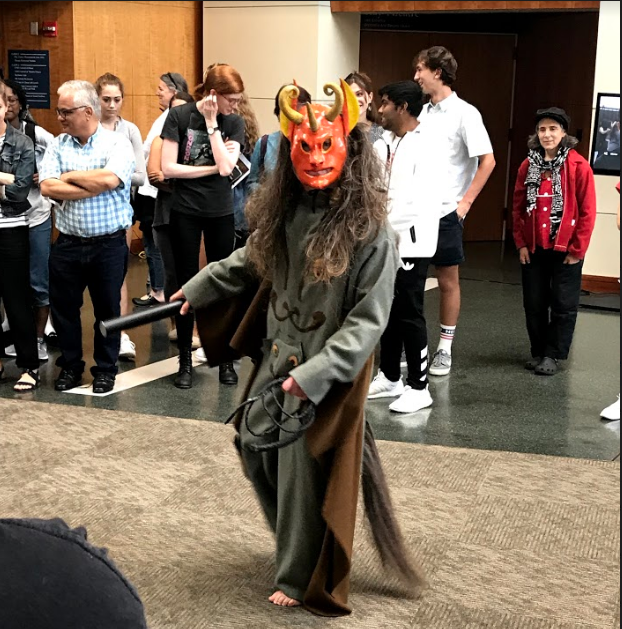 Professor Mitchell Hébert , PhD student Jonelle Walker , and a cast and creative team largely composed of of UMD TDPS students and alumni will open Illyria, or What You Will at Avant Bard in October. 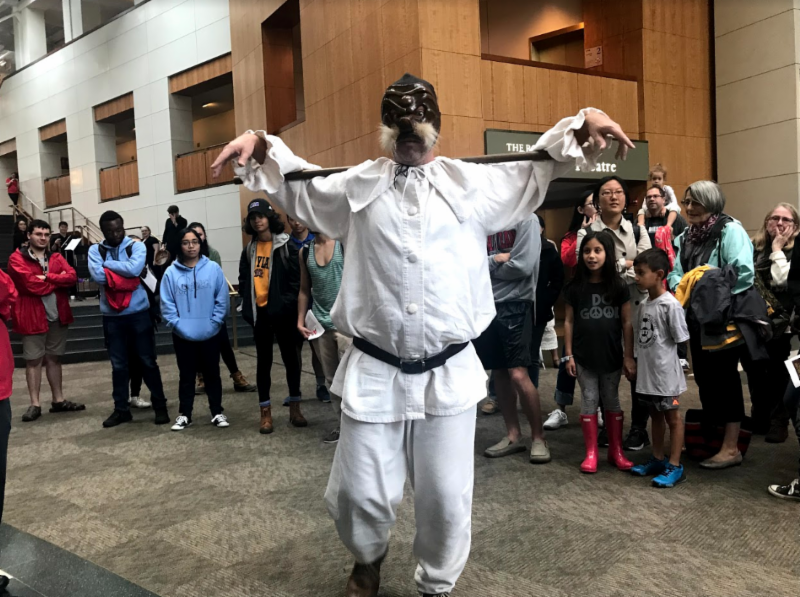 “Jonelle Walker’s feminist revisioning of The Taming of the Shrew, TAME , received a Helen Hayes nomination and Mitchell Hébert, recipient of Helen Hayes Awards for both acting and directing, teaches at the University of Maryland. The Illyria cast and creative team are made of many UMD alumni." Read more about the production here . 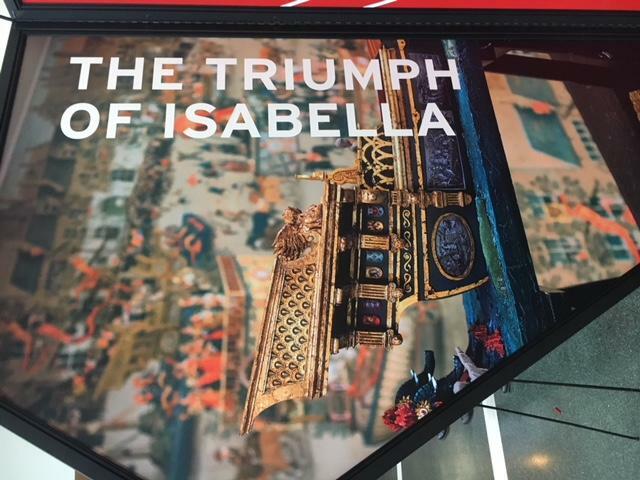 Illyria, or What You Will begins previews October 18, 2018, and runs through November 18. Performances are at Gunston Arts Center, Theatre Two, 2700 South Lang Street, Arlington, VA 22206. Tickets available here . 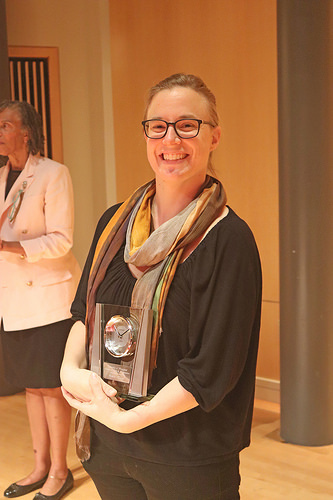 Susan Miller received the Staff Service Award for Service to the Department at this semester's ARHU Convocation! We all love you, Susan! 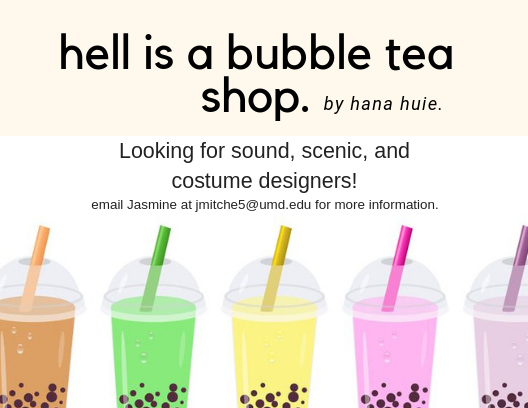 The team of Second Season's hell is a bubble tea shop by Hana Huie is seeking sound, scenic, and costume designers. Contact Jasmine Mitchell at jmitche5@umd.edu for more information. Swing Gate Creative Group is seeking comedic actors for short video piece. Contact Brenda Celdran for more information. City of Rockville Recreation & Parks Department is hiring a program specialist to support local artists, cultural activities, and community events. 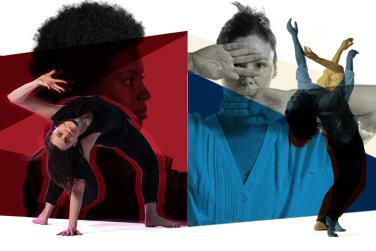 VT (Vincent Thomas) Dance is seeking 8-10 community dancers to be part of the upcoming performances of What's Going On at Joe's Movement Emporium in October and November. Check out the details here. 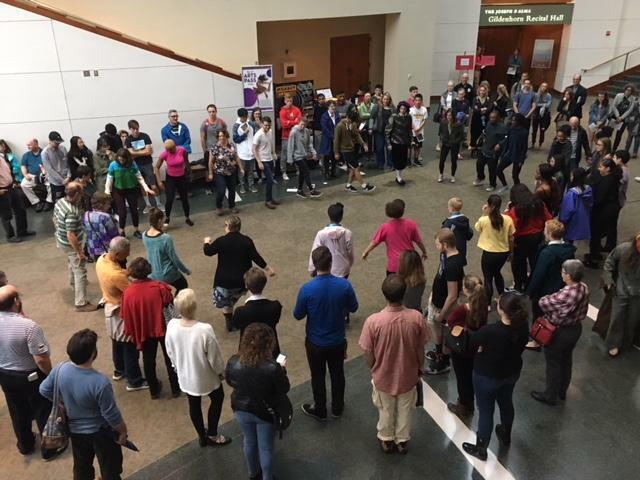 Shakespeare Theatre Company is seeking an Institutional Fundraising Coordinator. Need music transposition, creation, or arrangement for an audition or performance? Beth Rendely offers music arrangement and transposition services. Check out her flyer here. 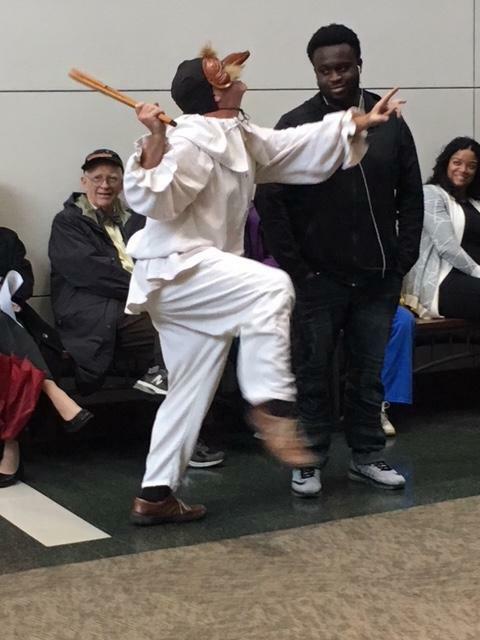 Chesapeake Shakespeare Company in Baltimore is seeking an Audience Services Manager. Please submit a cover letter and resume to Jean Thompson at tjobs@chesapeakeshakespeare.com. 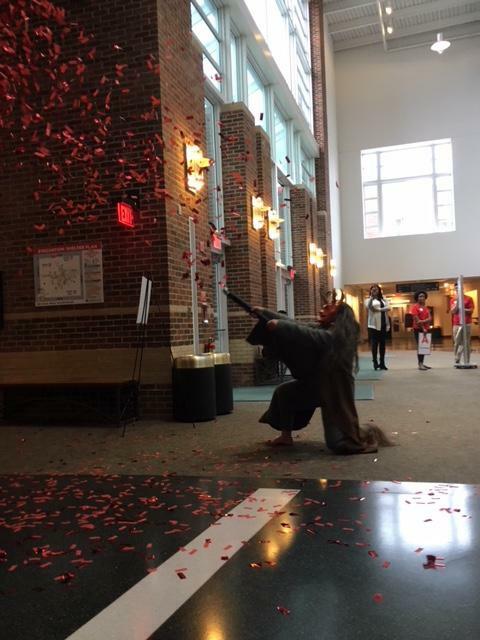 Did you know that Round House Theatre has expanded their Free Play ticketing program to include college students? Book seats and find out more about the program here. 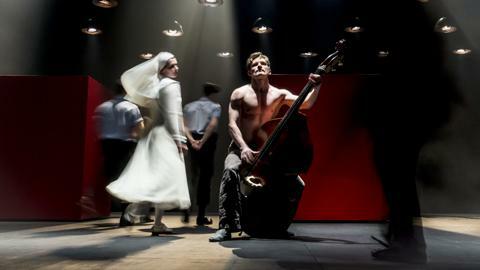 The Kennedy Center is presenting Cheek by Jowl and Pushkin Theater Moscow’s groundbreaking production of Measure for Measure in October. The collaboration between Pushkin Theater Moscow and Cheek by Jowl shines a unique light on the classic story and will be directed by Declan Donnellan and performed in Russian. Check out the flyer with a special promo code here. Do you want to move with others with the guidance of a caller? Do you want to dance like Jane Austen? Would you like to participate in an activity where others extend a hand to you with a smile? 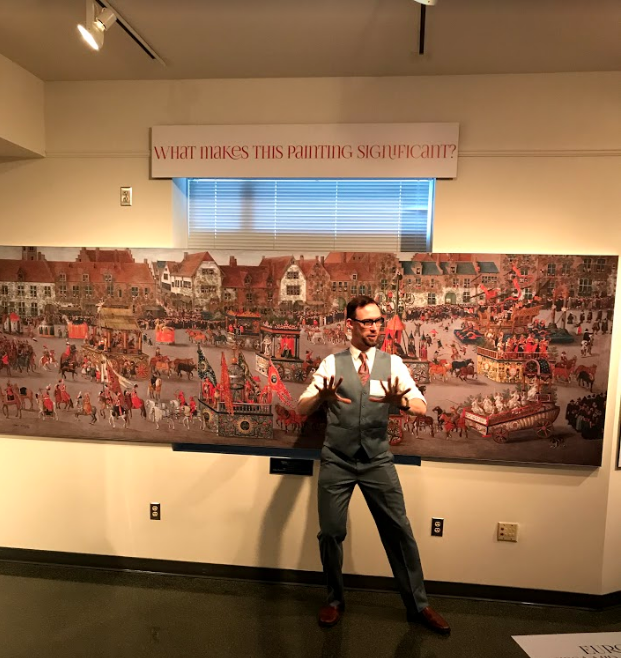 Check out English Country Dance with the Folklore Society of Greater Washington. See a video of them in action here. For more information, email carrieLrose@yahoo.com.